Let Blair replace your existing openings with new state of the art wood, vinyl, or clad windows and doors. Proudly serving homeowners in the metro Indianapolis area for over 60 years! Blair offers a number of great, American made brands, built to perfectly meet your home’s needs! Blair Windows & Doors, Inc. has a long history in Metro Indianapolis. We sell and install new windows and doors to building contractors and homeowners. Unlike the lumberyards and big box stores, we work with a variety of manufacturers all of whom make their products in the US. If you’re looking for personalized service from a window company you can trust, choose Blair Windows & Doors, Inc.
As a locally owned and operated company based outside downtown Indianapolis in Historic Irvington, we know our community. The window manufacturers we’ve chosen to work with all offer products ideally suited for the often harsh Indianapolis winters and hot summers. We want your window buying experience to be as easy as possible. We’ll listen to what you want in new windows and doors and guide you to the products that will best meet your needs and budget. We don’t play pricing games or give you a high pressure sales pitch limiting the quoted price to hours or a few days. We want to build a relationship of trust so you’ll tell your friends and neighbors about us. We carry an array of tested products which allow us to supply and service new homes and remodeling projects at all price ranges. We’ve built our business by working with builders on their construction projects throughout a 14 county area surrounding Indianapolis. If you are a contractor or builder looking for a door and window company you can trust to be there to service your home buyers after closing, turn to Blair Windows & Doors, Inc. and leave the big box stores behind. We offer the highest level of service before and after installation. 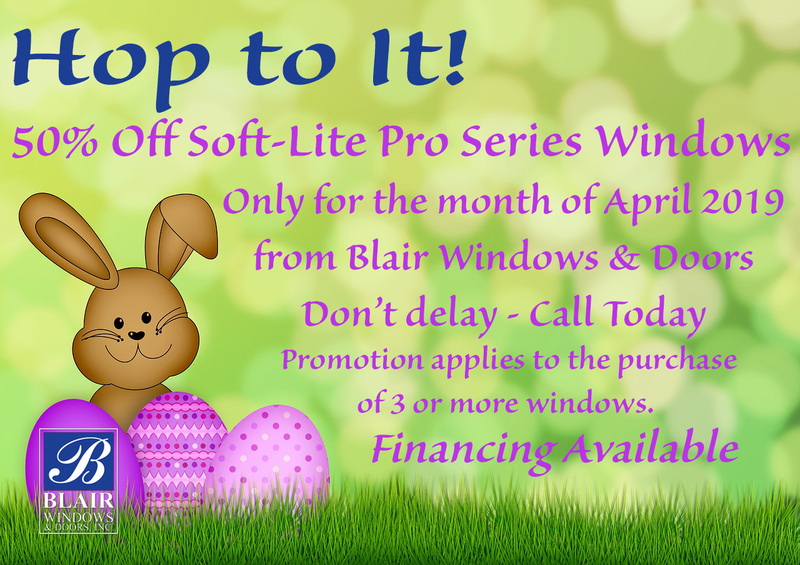 If you’re looking for replacement windows or doors, look no further than Blair Windows & Doors. We offer top quality name brand replacement windows at affordable prices. Our replacement windows will not only improve the comfort of your home but also the curb appeal. Our excellent reputation serving the Metro Indianapolis area goes back over 60 years. We want to be your local window company. Every one of our experienced staff is here to serve your needs. Blair Windows, specifically Tim replaced a bunch of windows for us over the years. He always does a first rate job. I’ve noticed a few times that if he doesn’t think something is right, he takes the window back out and re-installs it. I know I can count on it being right. No leaks are one important thing he makes sure of. We really appreciate your work and all that Tim does for us. From the time I met with the staff at Blair Window and Doors I knew this would be smooth sailing, and I was not disappointed. Their team is easy to work with and extremely friendly, I hope to do business again in the future! Having a historic home on Meridian we were hesitant to change out our windows because we loved the look they brought to the home. The team at Blair listened and helped us select beautiful new windows that are much more energy efficient. The tilt in sashes make cleaning a breeze too. We cannot say enough good things about Blair Windows & Doors. The response is quick, they show up on time & the work is done right. Working with Jim, Jenny, & Mike and Tim who do the service are wonderful!! It has been a pleasure working with them.